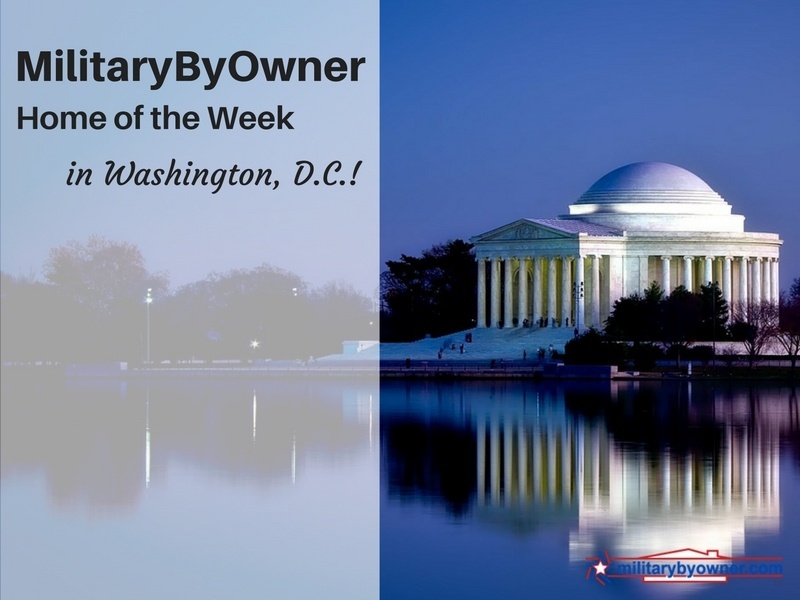 Walk to Everything with this MilitaryByOwner Home of the Week in D.C.! 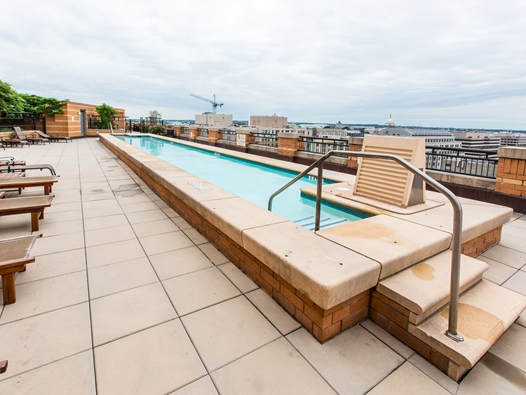 From the top of this high rise near Gallery Place, the July festivities could include good ol' American barbeque from the grilling station, a dip in the resort style pool, and a picture-perfect view of the fireworks over the National Mall. 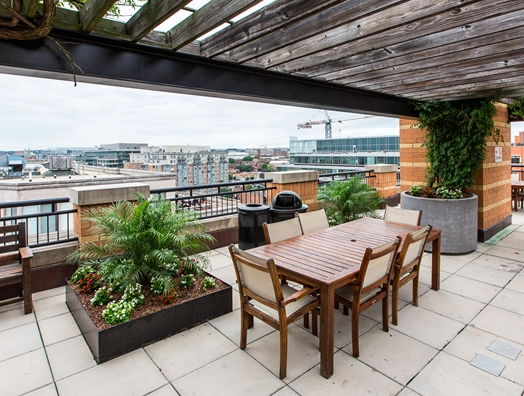 Let's take a closer look at this MilitaryByOwner "home of the week" condo for rent right in the heart of D.C.! Ideal for a geo-bachelor, single professional, or couple, this near 1300 sq.feet apartment is tucked in a convenient location for navigating the busy city of Washington D.C. No need to fight through traffic--leave your car in the garage and walk down the way to the handy underground rail line called The Metro. From there it’s a simple ride to the Navy Yard or the Pentagon. From this address, it's an easy walk to a variety of shops and cafés, as well as a bevy of sightseeing gems. Catch a concert at the Verizon Center down the street. Browse intriguing exhibits at the National Building Museum, the International Spy Museum, the Smithsonian American Art Museum, and other worthwhile attractions nearby. Additionally, with Union Station in close proximity there are options for Amtrak travel, including regular routes Baltimore, Philadelphia, and New York City. 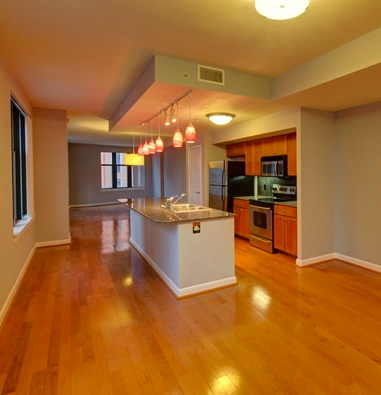 Spacious windows fill this 1 bed, 1½ bath home with cheery light. Glossy hardwood floors lead through the gracious living space to the gourmet kitchen. It may be easy to picture your furnishings placed in this open concept layout. 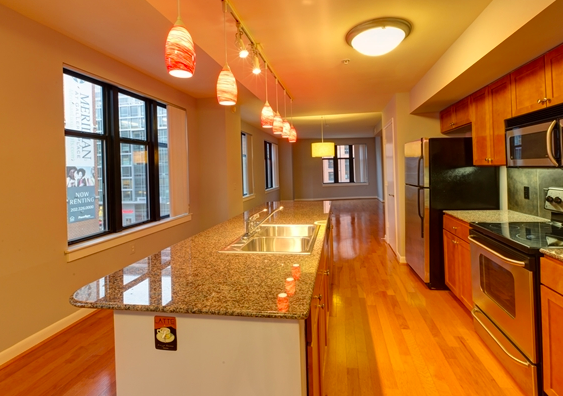 Art glass pendant light fixtures highlight the sparkling granite counters and sleek stainless appliances. Imagine cooking up a feast for family and friends with this stylish and functional kitchen. Picture dear ones gathered around the generous island sharing good food and good times! 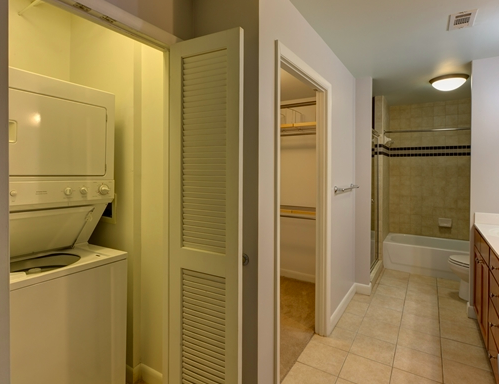 Those pesky laundry chores are much less of a hassle with an in-unit washer and dryer found off the master bedroom. Savor the storage capabilities of the walk-in closet. Indulge in a luxurious soak or relaxing shower with this well appointed master bath. Beyond the rooftop amenities mentioned earlier, other perks of this property are premium space for business and entertaining, 'round the clock concierge service, an on-site gym and a billiards room. Living in the Washington D.C. area, there is always something to do. Pack a picnic basket, grab your lawn chair,and walk over to nearby Milian Park. In this pleasant green space, you may find live music playing as part of the Mount Vernon Triangle community event called “Tunes in the Triangle.” Along with local bands, this family friendly summertime activity may include tailgaiting games, hula-hoop contests, and bubbles for the tots. Events like this may be a great way to unwind and a fun opportunity to meet neighbors and community volunteers. **Note: While this property is no longer listed for sale, check MilitaryByOwner for current rental listings. You could find the perfect setting for your next 4th of July get-together! Interested in apartment or condo living? 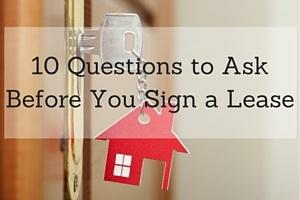 Check out the following helpful posts!